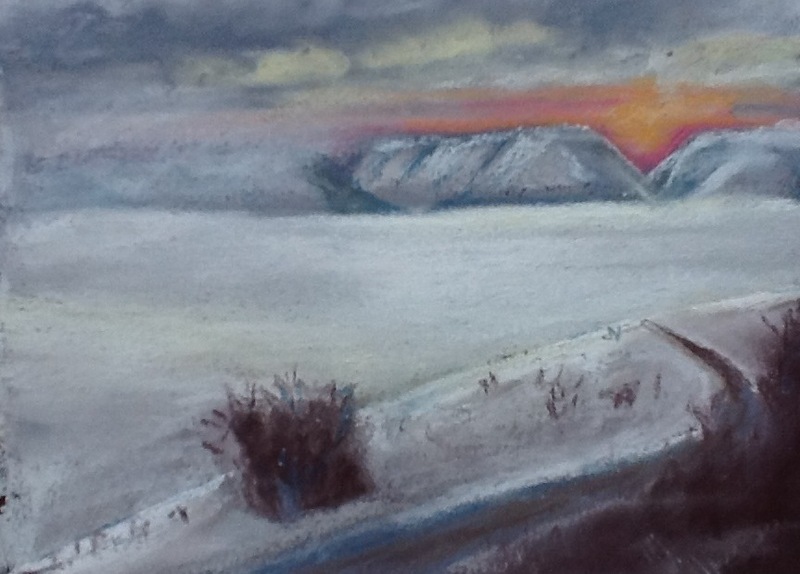 I painted this sunrise plein air, but I set up in a windowsill instead of outside…pastels don’t mix well with snow flurries. The snowstorm to the north erased part of the mountains as I painted. Quick study complete, now…where are my snow shoes? Both Bear Lake sunrises are beautiful. You have captured the cold stillness of God’s creation. when i was there, several years ago, it was in september and the aspens and maples were on fire. just as beautiful now though in a very different way. really loved your sunrise from yesterday too. I have go to visit this Big Bear. The snow looks cold. great color contrast.